Type a new description and value, either total or monthly. If monthly, type a duration. Type in a new description or a new value, either total or monthly. In the opportunity status area, right click and select New. 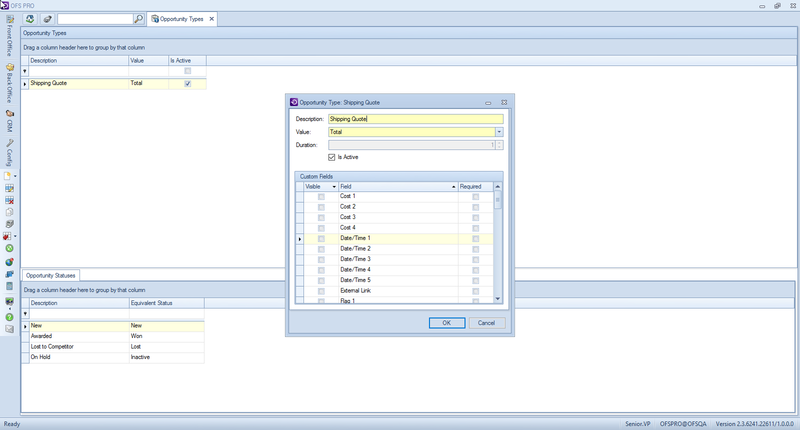 Type a name and select an Equivalent Status. In the opportunity status area, right click and select Edit. Type a new name and select an equivalent status.